My recent Power in Place (PiP) travels through Oklahoma spanned from Valentine’s Day to Presidents’ Day (extremely fitting since PiP was conceived from my passion for political parity). In 5 days with much driving in-between, I was able to photograph and interview 9 female politicians and 4 nominees. Booking the various electeds, I sent invites to a diverse group of female politicians. I was aiming for a range of age, race, party, and geographic settings. 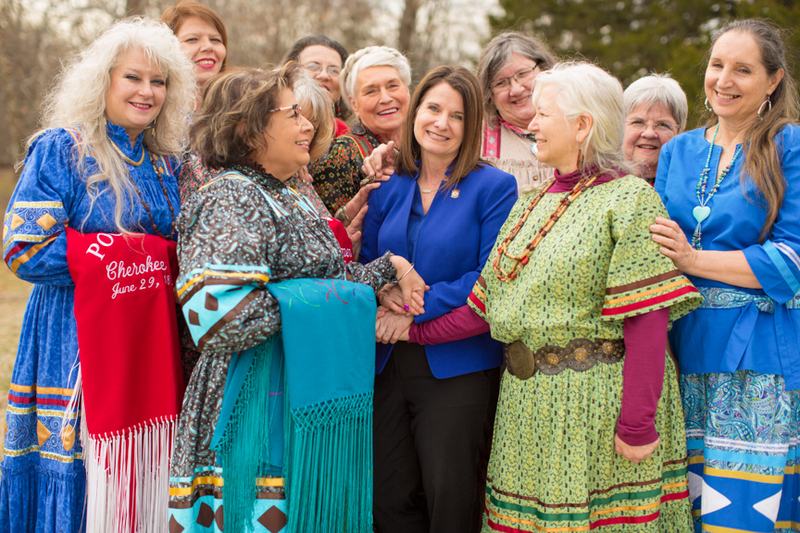 Not only was my vision fully realized by the Oklahoma women I featured, but I was moved by the overall support, and respect they all shared for one another, regardless of party affiliation. Often, the legislators would ask who signed onto the project and when I recalled the list, they would recount virtues rather than cast aspersions on character. To me, this is a hallmark of what makes women in politics so necessary. We are not weaker, or less scrupulous– –rather we are (on the whole) apt to appeal to civility over disparagement. During this polarizing time, I see the potential of women in politics as a beacon of hope pointing to a more measured dialog at the governing table. Power in Place enjoys spotlighting “firsts”––women electeds achieving historical milestones ––like Congresswoman Ayanna Pressley, the first woman of color from Massachusetts to go to Washington. FIRST shoot of 2019 and my first Cherokee Nation woman featured. SHOOT HIGHTLIGHT was learning from Mary that she taught Chief Wilma Mankiller (the first woman elected to serve as Principal Chief of the Cherokee Nation in 1985) how to use a cell phone. FIRST participant to bring along 10 other women (now that’s devotion) to her shoot wearing the most brilliant traditional Native American dresses. SHOOT HIGHTLIGHT was being surrounded by the swirl of colors from women of the Pocahontas Club and feeling the love and support the women share for each other. FIRST whimsical portrait in a theater costume department, where a rainbow of clothing options hung above us & they doubled as a lively backdrop to match Crista’s personality. SHOOT HIGHTLIGHT was when Crista and her nominee, Stasha, told each other why they appreciate the other during the interview. Their relationship is clearly built on trust, respect and mutual gratitude. So beautiful to witness this amongst women of different generations. Not my first shoot that incorporates bicycles into the office holder’s place of special meaning but my FIRST attempt to capture the spirit of will, dedication and strength of Rep Bush, who started an all-female cycling club, which has grown over the years to 200+ riders. SHOOT HIGHTLIGHT was witnessing the friendship that Carol engenders. Two cycling girlfriends showed up to lend a hand (and their bikes) on a damp, cold and dreary afternoon. They were more than accommodating and happy to help, even though their fingers were frozen to the bone throughout the shoot. FIRST shoot conducted entirely in whispers. The Mayor chose the library’s Great Reading Room as her setting. It’s one of those traditional “old school” elegant study halls where any minor sound reverberates tenfold. So I had to be extra quiet directing Lynne while photographing her. SHOOT HIGHTLIGHT was the admiration I felt for Lynne for entering public service after retiring from teaching. She is able to serve her community with wisdom and experience. FIRST mother & daughter elected duo for Power in Place. What a treat!!! Often legacy politics is a father-to-son hand down, but these two courageous souls bucked the national trend. SHOOT HIGHTLIGHT was realizing that these two women are not only mother/daughter, but they are each other’s best friend, to the point where they would finish each other’s sentences. What made me chuckle the most was how physically they were in sync. Without any prompting from me, they would cross arms at the same time. In addition, when they first walked into the building, I mistook Anastasia for Ajay. Even though Rep Miller was the 2nd person on our Oklahoma roster with the last name “Miller,” she earned her individual distinction of being PiP’s FIRST female office holder to pull off a flawless mid-air split. She requested to be photographed with her son (who also inherited Nicole’s athletic prowess). So I suggested they jump around on their backyard trampoline. The shoot was also, PiP’s sweatiest portrait session due to all the physical exertion. 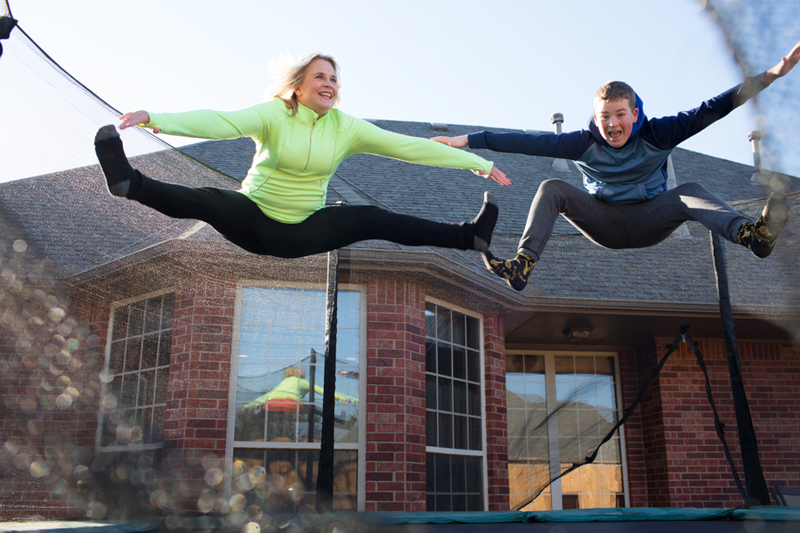 I had Nicole and her son repeat many of their airborne poses, so I could get the framing just right. Bar none, the SHOOT HIGHTLIGHT was beholding the joy that Nicole’s son brings to her. It wasn’t the first time I’ve shot in front of a courthouse, but it was the FIRST shoot on which an elected official brought along her sister to personify their shared passion for criminal justice reform. As children, Carrie and her sister experienced first-hand the whims of a system that punishes those with metal health and substances abuse issues. Luckily their family received the support they needed, but they’ve seen too many people fall through the cracks. SHOOT HIGHTLIGHT was being in the presence of a newly elected woman public office holder, who is absolutely energized by the possibilities of her new role as a public servant. Carrie’s positive disposition and dedication to the job makes one believe in the possibilities of government to change lives for the better through dedicated advocacy. 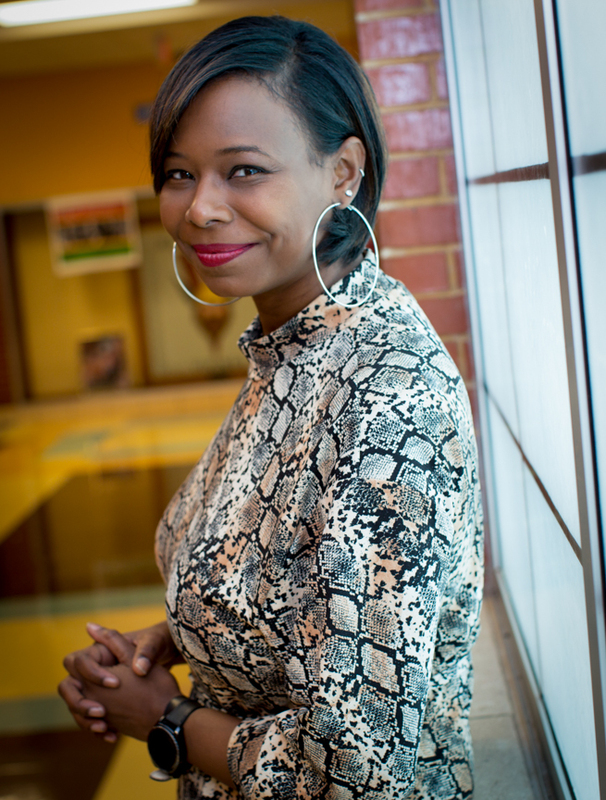 Not only is Rep Nice genuinely nice, she is an ardent champion for her community. Her ward has always been her home, and, as a young woman, her high school was the center of her world. Nikki is the FIRST in her family to attend Northeast Academy, a school whose court-mandated integration in the 70s led to a racially diverse student body. As her mom always suspected, Nikki flourished magnificently at Northeast, even though initially she didn’t want attend a magnet school. SHOOT HIGHTLIGHT was getting to know a humble, genuinely honorable soul. She does not put on any pretenses and her radiant smile makes one feel at ease. I also enjoyed hearing about her days as a radio personality before she ran for office. 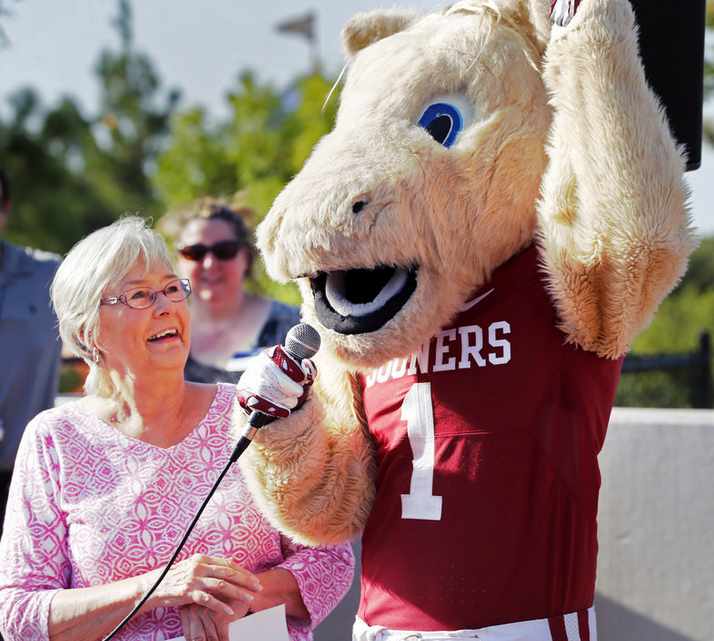 When I left Oklahoma, I couldn’t believe my good fortune. Not only was I impressed by the women office holders, I was also inspired by the amazing young female nominees. So a big shout-out to PiP’s Women on the Rise, who not only assisted me during the portrait shoots but who also posed insightful interview questions to their nominators. It is these young female students that will help bridge us toward a more equitable society. So THANK YOU-- Izzy Barry, CK Morris, Stasha Cole, and Emily King--you are the BEST!!! !